Renewables are NOT for the birds. 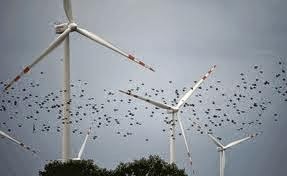 By now most readers are aware that those ugly wind turbines are bird killers. Reports such as "thousands of birds paying a high price for green energy" and "bird enthusiasts to sue Feds for allowing wind turbines to kill birds" appear frequently in the press. Although the Alarmists, like the deniers that they are, have tried to suppress or counter these reports, the facts and the corpses are there for all to see. Now, thanks to the weekly enewsletter "Cooler Heads Digest" via "Master Resource," we learn that "Solar Enters Wind Territory." “After several studies, the conclusion for why birds are drawn to the searing beams of the solar field goes like this: Insects are attracted to the bright light of the reflecting mirrors, much as moths are lured to a porch light. Small birds — insect eaters such as finches, swallows and warblers — go after the bugs. In turn, predators such as hawks and falcons pursue the smaller birds. - David Danelski, Solar: Ivanpah Solar Described as Deadly Trap for Wildlife,” Riverside-Press Enterprise, April 8, 2014. World's largest solar power plant opens - evidence emerges that it leaves birds who fly over 'scorched"
Take 300,000 computer-controlled mirrors, each 7 feet high and 10 feet wide. Control them with computers to focus the Sun’s light to the top of 459-foot towers, where water is turned into steam to power turbines. 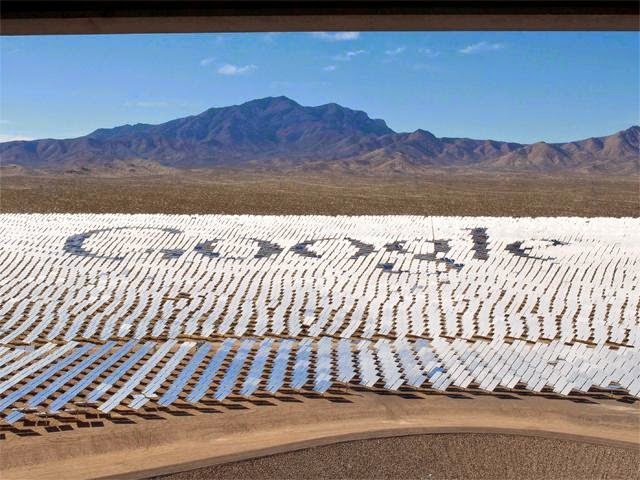 Bingo: you have the world’s biggest solar power plant, the Ivanpah Solar Electric Generating System. Long-mired by regulatory issues and legal tangles, the enormous solar plant – jointly owned by NRG Energy, BrightSource Energy and Google – opened for business recently. It has the potential to provide green energy to 140,000 homes, the Ivanpah project has also been heavily criticised for disrupting a thriving habitat for tortoises, coyotes, kit foxes and bobcats. Disrupting the thriving habitat for tortoises, coyotes, kit foxes and bobcats? And vaporising birds? 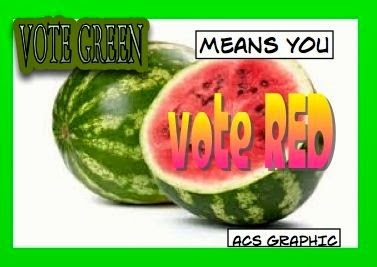 Where are the Greens who, prima facie are for nature and wild life? They are too busy pushing the Communist Agenda!